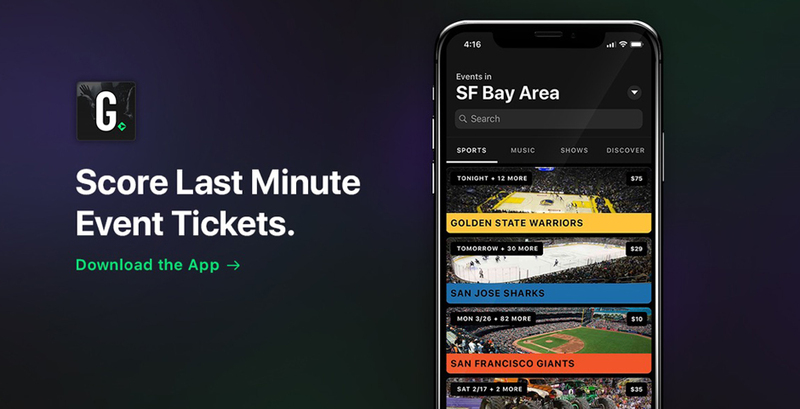 Music and sports fans who love spontaneity can get tickets up to 90 minutes after an event starts with the last-minute ticketing app Gametime. The platform just launched a new feature called LastCall, allowing users to save up to 80 percent on tickets. According to Gametime CEO Brad Griffith, a new survey shows that 27 percent of fans have bought tickets to an event after it has started, which matches Gametime’s data that 60 percent of users are buying tickets within 36 hours of an event. Griffith said that over the past few years, there has been a significant shift in the time frame of when people buy tickets. While a majority of people usually buy tickets when they go on sale, more and more people are beginning to buy tickets the day of, an hour before, or even an hour after an event begins. Additionally, based on the time a user buys a ticket, the price can significantly decrease. Gametime data shows that Major League Baseball prices drop to around $50 two days ahead of the game, but 90 minutes after the first pitch, prices drop to as low as $13. Similarly, concert ticket prices will hover around $115 before the event, but drop to $55 90-minutes after the show has kicked-off. The Gametime app allows users to see which concerts, theatre, and sports events are happening nearby within the week based on your location. To see which events are coming up near you, visit Gametime.co.